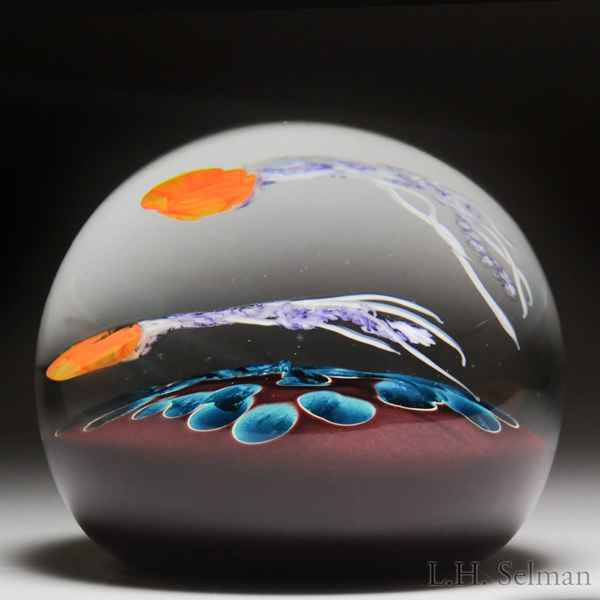 Mayauel Ward 2018 "Jellyfish"" compound paperweight. Floating above an opaque brown cushion strewn with yellow-rimmed, teal green circlets, a suggestion of the sea, two bright orange jellyfish trail long blue tentacles. Signed/dated. Diameter 3 1/8".